My alarm went off at 5 am this morning. I hate early mornings. I have had too many of them recently. Message to self: Cancel early mornings!! We are off to the airport. Once in the plane I remember how much I like flying. It forces me for a short while to sit and do nothing. Although my body is still, my mind is still whirring. What jobs need doing? My mind quickly goes through a very long list. 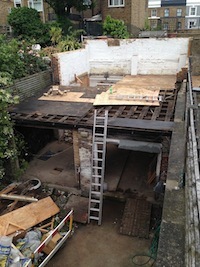 For those who do not know, Marc and I have been building a house in Fulham for the past two years. It seems to be a never-ending project. Not one to take on lightly. In fact another message to self: don't build another house please. Something occurs to me while sitting here, that as I scan the house in my mind with fabulous 3d vision (in truth the house is currently a building site) that so many things for the house come from Fulham. What a great place! Our builders,Plan Build, have their offices around the corner in Cooper House. It takes us just minutes to get to their office. They have been great and now that the important part is happening (finishing touches) our site foreman is so on the ball. He really does have the worst job in the world with us working next door as Marc and I are always keeping an eye out on what is going on, and constantly just 'popping in'. Our kitchen contractor (Uber Kitchens) also works out of Cooper house. The whole process so far has been easy. We are now waiting for them to install. Can't wait, think it will be cool. 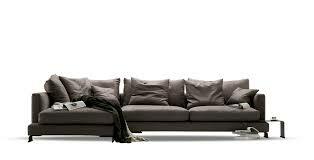 We have also ordered a huge sofa for our sitting room. The area where everyone will hang out. This too has been purchased over the road from us from a fabulous shop, called Camerich sofas. The Shutter shop has also made all the shutters for the front of the house. Now installed and looking fab. Their office is just before the bend. On the way back from them towards us we pop into the flooring shop. Floor Seasons. They will be supplying our oak floor, in a lovely honey colour. If I am saying how great Fulham is then I must mention our canteen L’Antico. Delicious Italian pasta. Franco and his lovely daughters are always so welcoming even when we over stay our welcome by staying too late.